From the domestic user point of view, choosing an appropriate power supply is important. It is your insurance strategy against power surges and also prolongs the equipment of the device attached to. This post would illustrate on the types and draw a comparative analysis, helping you to make a reasonable choice. The regulated power supply indicates to a power supply that can supply variable output voltages that are helpful for testing circuits. 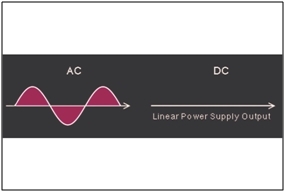 Nearly all devices that we use in circuits require a dc source.